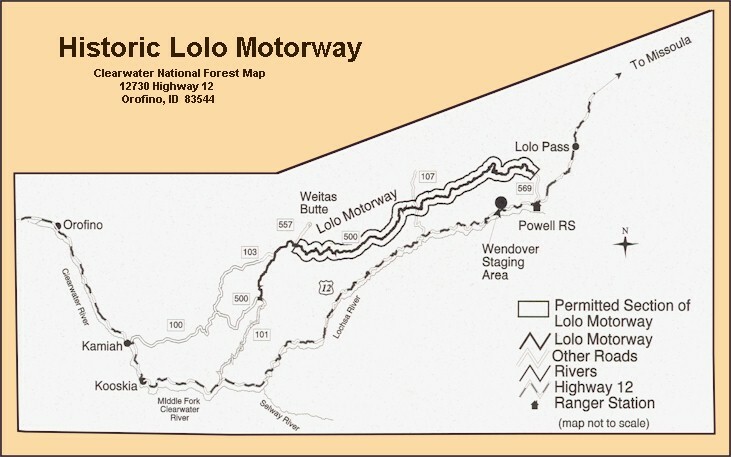 When it was built in the 1930's, the Lolo Motorway replaced historic paths that traversed the ridges west of the Bitterroot Divide. Although narrow, rocky and slow going, the route built partially by the Civilian Conservation Corps provided assess into the mountains. The route the motorway follows once bore the footprints of early Indians. The Nez Perce people (Nimiipu) called the route, " K'useyneisskit", the buffalo trail. For them the trail was a land bridge between the Columbia River Basin and the Northern Plains. The Lewis and Clark Expedition struggled along these ridges, on their journey west in 1805, and on their return trip in 1806. Whether you're planning a weekend getaway or a week-long vacation in Idaho, LewisandClarkTrail.com is your online connection for hotel reservations.